ONLY 3 DAYS LEFT TO SALE-A-BRATE !! Sale-a-bration 2015 ends on March 31st ! Sale-A-Bration is more than just our biggest sales event of the year, it’s also the perfect time to introduce you to some of our newest products! We thought there was no better way to do that than by showing you just a few of the possibilities you can make with these fantastic new products. So without further adieu, we want to introduce you to the For Being You Stamp Set. Share big thanks with the oversized sentiments in the For Being You Stamp Set. This stamp set is perfect for use with gift tags or packaging, as well as cards, scrapbook pages, and more! Layer the images, then color. This stamp set also coordinates with the Hearts Border Punch (AC p. 222), making it simple to punch out rows of adorable little hearts. We want to thank our talented artists, Winona Semler and Stampin' Up! Last month of Sale-a-bration and FOUR more Sale a bration items!!! They are ALL amazing !!! That’s right! Stampin’ Up! 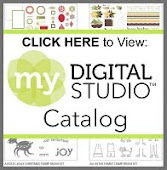 has added FOUR new products to the free gifts that you can earn during Sale-A-Bration! Starting Sunday, March 1st, you can choose one of these new gift for every $60 for that you order. Don't worry , all our other Sale-A-Bration gifts are also still available. Sale-a-bration ends March 31. Place an order, book a class or party! Let's stamp! IMPORTANT UPDATE: Stampin’ Up! is experiencing quality issues with the Blendabilities markers. Except for the Tuxedo Black Memento Ink Pad (item #132708) and the Tuxedo Black Memento Ink Pad Refill (item #133456), all item numbers have been turned off; this includes Blendabilities Sale-A-Bration item numbers. At this time, backorders for Blendabilities will not be fulfilled. 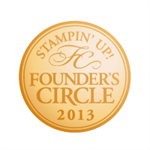 I know it is disappointing, but we will wait to hear from Stampin’ Up! as to what the problem is and when it might be rectified. I will share more information as it comes in. **Spring Retreat is May 1-3 we only have a few spots left...Register Today!